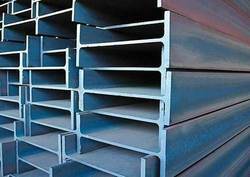 Leading Wholesale Supplier of ms joist for construction industry from Ghaziabad. We are the leading trader and supplier of MS Joist for Construction Industry. The offered range can also be availed various sizes, dimensions and other related specifications.These are widely used in the construction industry for laying strong foundation for buildings.